Joanna was the first recipient of the Rowny-Paderewski Scholarship. She participated in the 2005 Institute on Comparative Political and Economic Systems (ICPES), where she interned in Washington, D.C., for Senator Chuck Hagel. Joanna had also been awarded a scholarship in 2002 by the Rosenstiel Foundation, which allowed her to participate in the TFAS program in Prague. Specializing in nationalism studies, Joanna received her doctorate from Jagiellonian University in Cracow, where she now serves as an academic teacher. 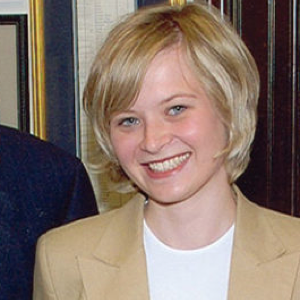 She also holds a master’s degree in international affairs from the Cracow University of Economics.